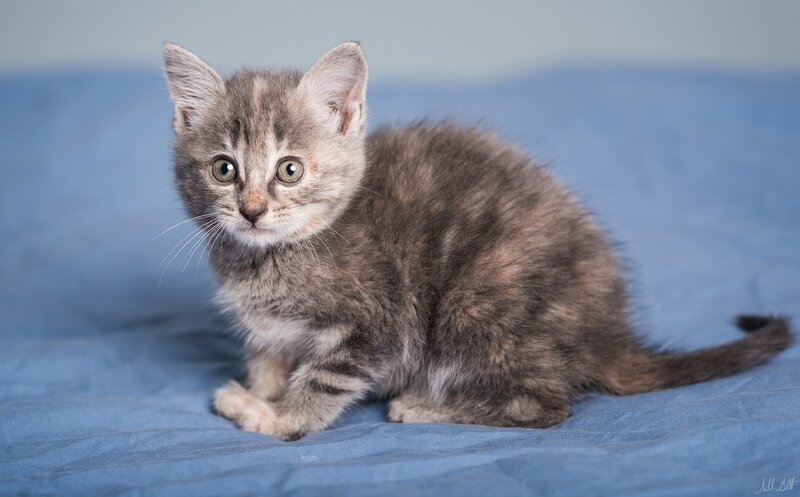 Rose is a delightful and entertaining kitten! She's great at keeping herself entertained with skitter toys, and with pouncing on her sisters! Her lap cat skills are coming along quite nicely as well. If you have a toy on a stick, you have her undivided attention! Rose has that sense of self assurance that lets us believe she could do quite well as a single cat, or as an amazing addition to an existing clowder. If you want someone with just a hint of sass, Rose is your girl!